A lot of students take the NDA exam preparation easy on the account that the exam is based on CBSE syllabus. While it is true that the exam will be based on your school level syllabus, it is an exam conducted by the UPSC and you must be prepared for even the simplest concepts being tested with trick questions. Therefore, it is important to keep yourself updated with the latest NDA syllabus and keep up with all the UPSC NDA notifications during the course of your preparation. The NDA exam is divided into two parts – Mathematics and General Ability. The latter comprises English and general knowledge. The mathematics section of the exam has 120 questions carrying 300 marks and a duration of 150 minutes. The general ability exam has 150 questions carrying 600 marks. The total duration of the written exam is 2.30 hours. So, apart from being well-versed with the syllabus, you also need to be quick to be able to finish your paper with as much accuracy as possible. This kind of speed and accuracy can only be achieved through a thorough preparation. Brush up formulas, calculations and methods right from Class 5 to Class 12. Make short notes of these in a handy notepad as you go along, to be able to revise them from time to time. Solve as many questions related to one concept as possible. Test your understanding of different concepts and their application by solving NDA mock test and NDA previous year papers. The general ability paper is tests your English skills, general knowledge and IQ levels. If you are prepared well, this segment of the NDA entrance exam can be immensely scoring. Practice grammar rules with help of renowned study material like the Wren and Martin Grammar book. Dedicate some time to every aspect of grammar – articles, prepositions, conjunctions and so on. Focus on four core skills – listening, speaking, reading and writing. Enhance your vocabulary by learning at least 5 new words everyday and practice their usage until you have internalised them. Practice with online NDA mock test and NDA previous year papers. Focus on Indian history, international affairs, politics, sports, current events, banking, taxes, art, geography, literature, awards and achievements. Read the newspaper from cover to cover every day and make notes of all the important headlines, along with key information in the report written in bullet points. Brush up physics, chemistry and biology up to Class 12 and SST and economics up to Class 10. Refer to general knowledge books like the Manorama Year Book. Learn from a combination of sources like GK-centric websites, ebooks, online journals and blogs. 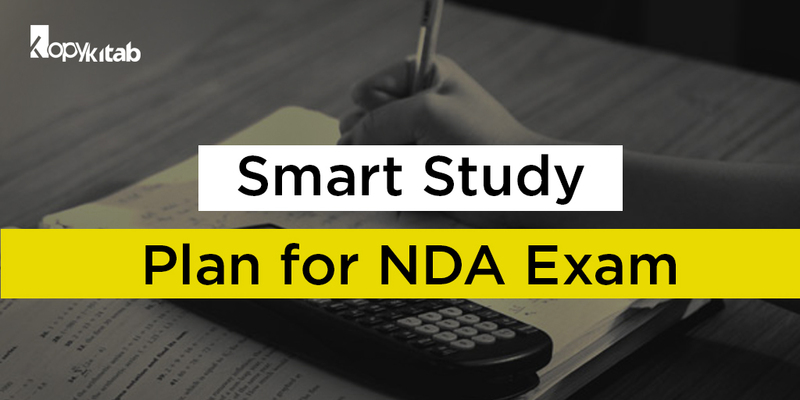 Based on these preparation tips, develop your own NDA study plan with which you can cover the entire syllabus in-depth, revise, re-revise and practice with mock tests and sample papers. This year the NDA entrance exam is slated to be held on April 21 and November 17. You still have enough time to nail it.